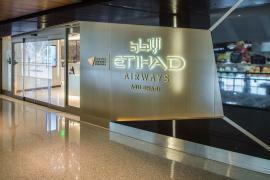 Every time you think ‘all that can be invented has been invented’, Etihad proves you wrong. 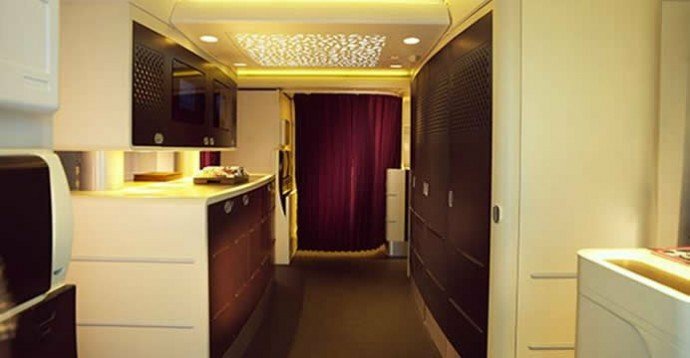 From flying nannies, en-suite shower to super-first class cabins, Ethihad Airways has changed the way we travel. 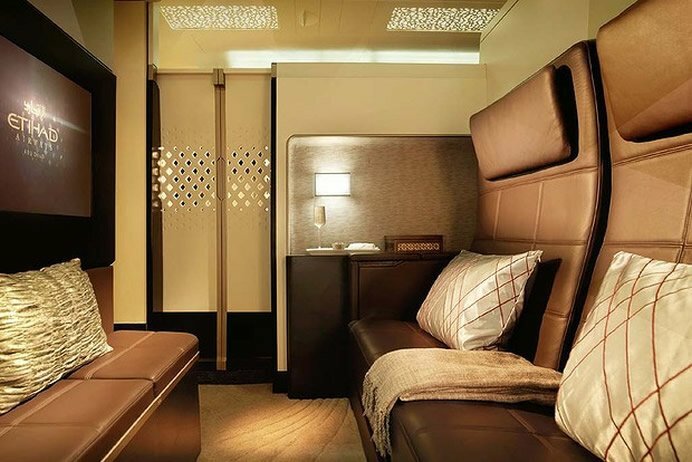 In its latest offering, the national airline of the United Arab Emirates has unveiled the world’s most luxurious living space in the air ‘The Residence’. 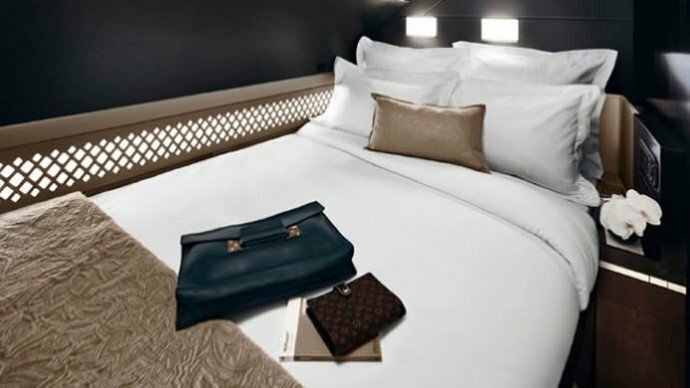 Offering the ultimate luxury high above the clouds and breakfast in bed over an expanse of beautiful skies, The Residence offers privacy normally found only on private jets. 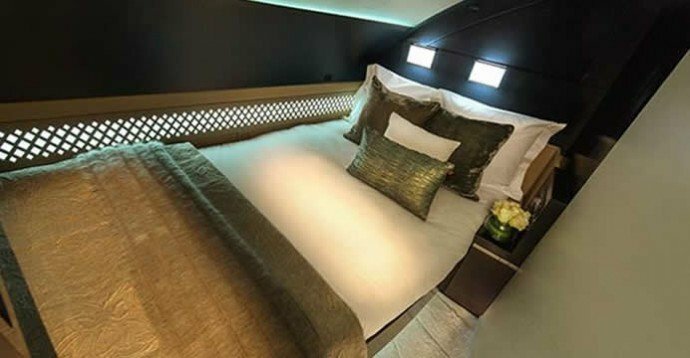 Each Etihad Airways A380 will offer a boutique version of The Residence with different color palettes, table marquetry and custom carpets. 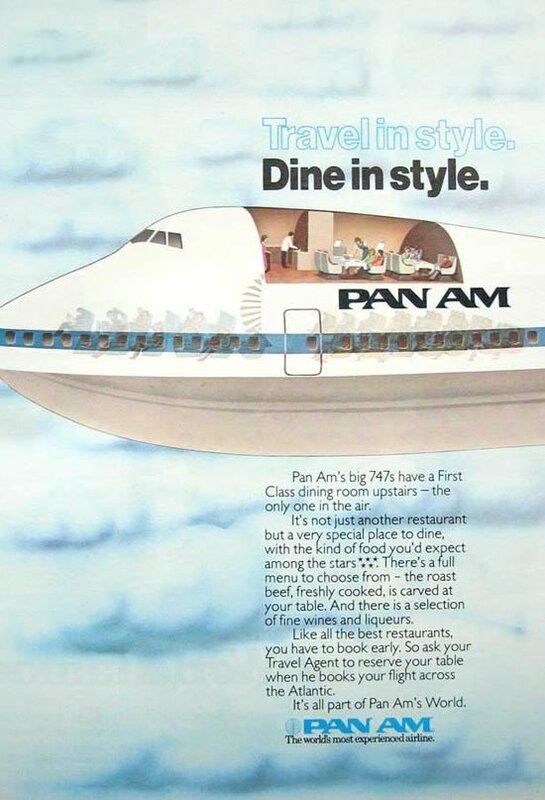 Located at the front of the upper deck on the double-decker jetliner, the three-room private suites will feature a living room, separate bedroom and an en-suite bathroom. The living room has a luxurious Poltrona Frau leather double-seat sofa with ottoman, two dining tables, drinks cabinet and 32-inch flat screen TV. 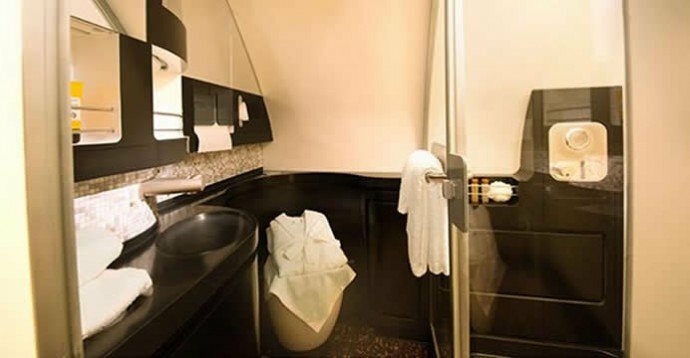 A soft-carpeted hallway leads to the en-suite bathroom with shower, exclusive toiletries and bathrobes. The bedroom in The Residence is decorated with delicate fabrics and furnished with natural fiber mattress double bed, Egyptian cotton sheets and choice of pillows. 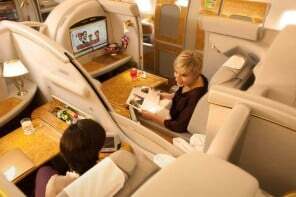 Additionally, a dedicated VIP Travel Concierge team will be available to guests to ensure every detail of their travel experience, including ground transport, cuisine, and amenities, are tailored to their requirements. 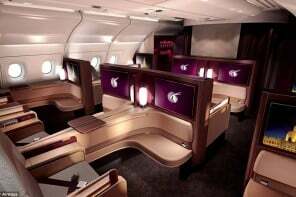 The three-room private luxury cabins are now open for bookings for flights starting in Jan 2015. 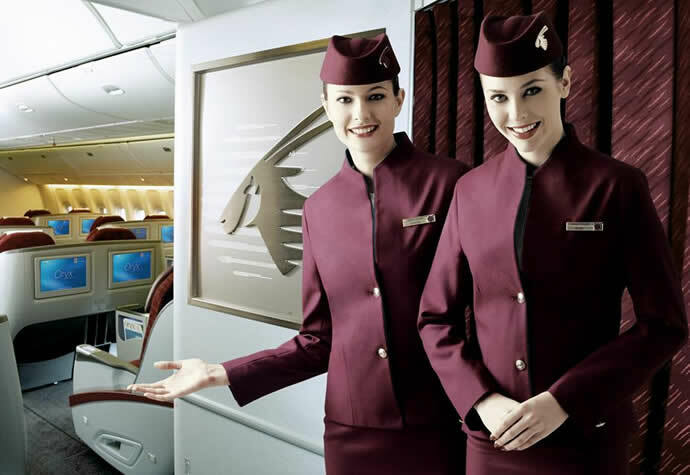 A roundtrip Abu Dhabi – London flight will set you back by an average $42,000.